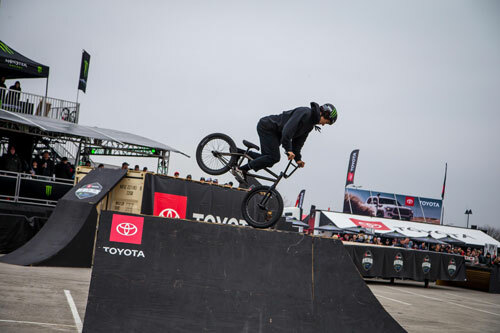 The Toyota BMX Triple Challenge is one of the most electrifying parts of the Monster Energy Supercross FanFest experience. With stops at Anaheim 2, Arlington and finally Denver coming up April 13th. 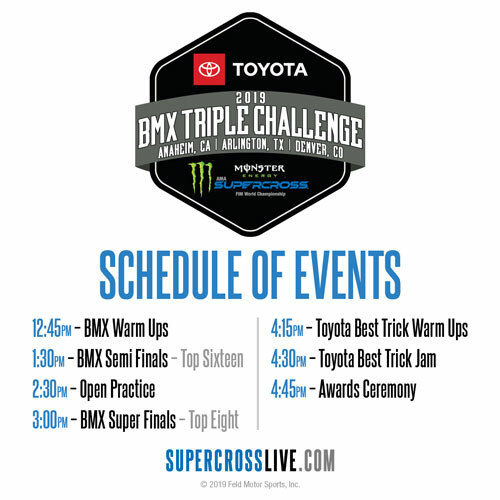 This event is comprised of the best BMX Freestyle riders in the world. 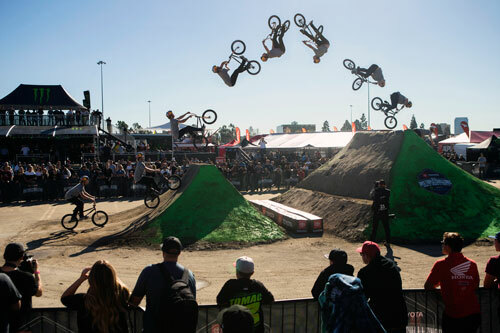 The participants you see performing are the same athletes who compete for medals in the X-Games. It is a high-flying acrobatic thrill show that cannot be missed before the racing action begins inside the venue!